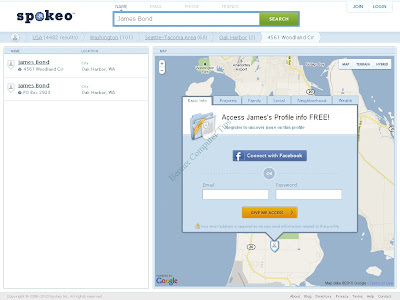 Home General Guide Spokeo is a Scary Social Media Invention...Spy Tool? 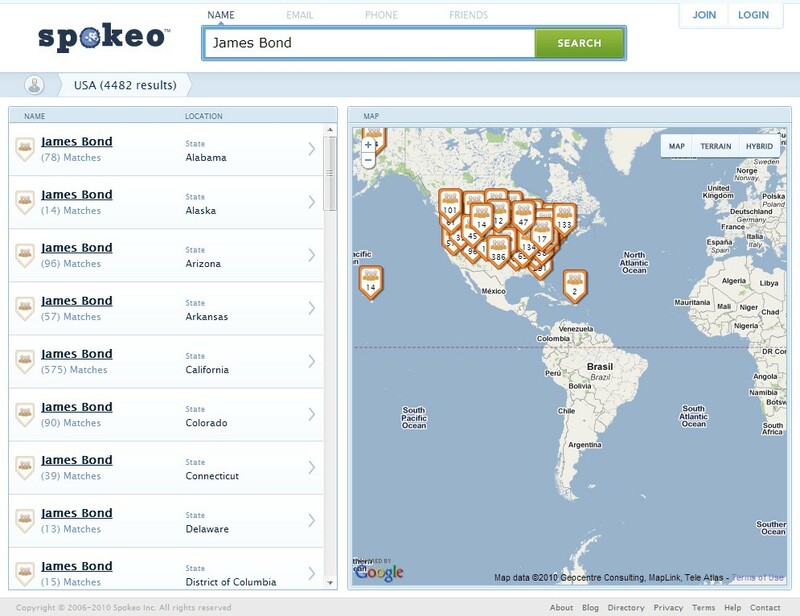 Spokeo is a Scary Social Media Invention...Spy Tool? This is very interesting topic someone has sent me a newsletter last week about the new scary invention on the internet that works now on USA. As we all know that social media is a trend now to connect people online anywhere, anytime. This is more than social media it discloses everything as describe by the sender. Whoa! 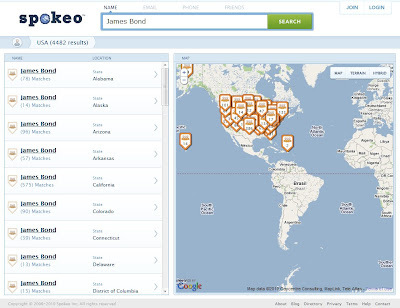 I just found out about this Web site:www.spokeo.com. 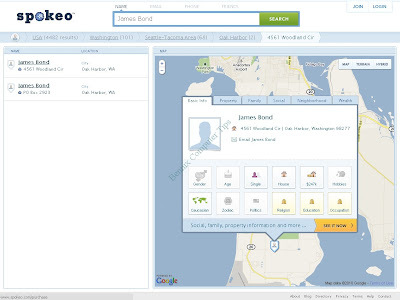 It claims to be "not your grandma's phonebook" but it's more like a spy tool. I entered my name and saw all this personal information: photos, my wife's name, and the scariest part--a photo of my house from Google Street View! This is certainly unsettling. Shouldn't this type of site be illegal? It just makes it too easy for misuse. How can I get my information off of here? Are there other sites like this that I should be aware of? Please help me, I'm really freaked out about this! Note, Spokeo works on USA only so, I type an American artist name to test and whoa!!! !I was shocked when the result came out.I test to type James Bond to see how many of them in USA. Look in the image below that is the result, will see a lot of James Bond profile, with specific home addresses and locations. I was greatly amazed when I double click on one of the profile that it almost reveals all private data about James Bond. 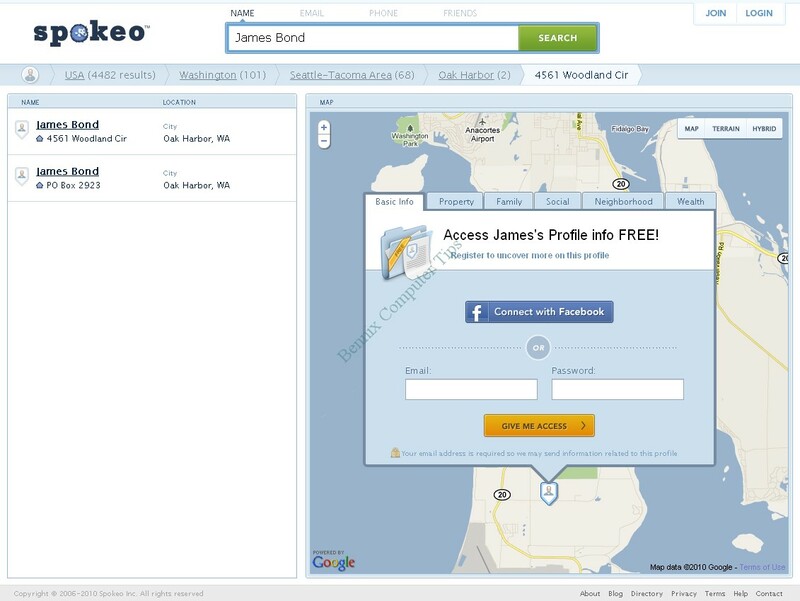 In the Basic Info tab you will see a lot information like your Address, Gender, Age, Wealth, Education, Occupation and a lot more private information that you can also access an email to that specific person. I also browse the Property tab and you can see a photo of your house like in Google Street View. 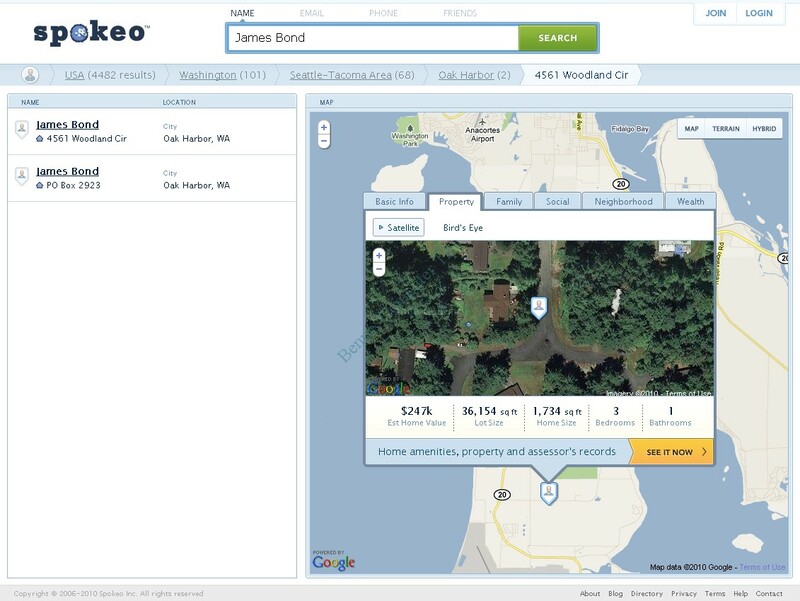 The value of your house, home size, lot size, number of bedrooms, bathrooms and other amenities is also featured. So scary…. After seeing those things, I wonder if this site is for spying people and where they get the data. This is very dangerous when that information use incorrectly or abuse, people may engage in trouble or life threatening situation. I would do some research this week to find out if this site is legal or not to operate.